Do you know, there are more than hundreds of social media sites available online. According to the Wikipedia page, there are major 195 social sites (excluding dating websites). Logically speaking, it is not possible to promote your website or blog on all these 195 websites. Hence, a question may arise, which are the best social media networks for promoting your blog or website online. 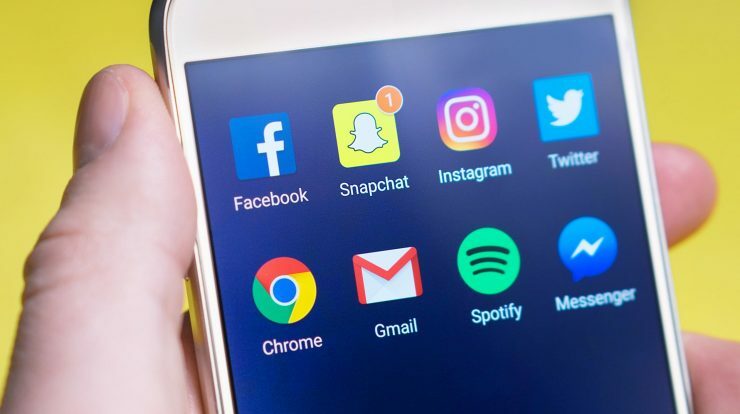 Below, we have shared the list of top six social media networks which is must for all the bloggers who want to promote and create brand value for their blog. Remember, this list is not exhaustive, we have considered only famous and efficient social media network sites below. If you are targeting Professional users then Linkedin is the better option than other social media sites. Similary, Academias is better option for academics/researchers. Hence, all the social media networks will not have equal impact in promoting your blog or website. Next, since it is practically not possible to discuss all the social media networks here, we have considered only those social meida sites which are famous and has more number of users registered on their site. When we talk about Social Media Networks, the first name that comes to our mind is ‘Facebook‘. It is the biggest social media network, with more than 3 billions monthly active users and 1 millions business pages registered on the site. These statstics in itself is a self explanatory. More number of users means more exposure. Further, since it is available at free of cost, this is the best option to promote your blog or website instantly. But sometimes, being famous also create a lots of problem. Facbook consists mixed types of users who are of 13 years or older than that. Hence, if you want to target any particular niche then this is not possible on facebook. Do you know, EmbroideryShristi has 4000 followers on the facebook. The number of these followers are far greater than Piniterest. But, Pinterest is still sending more traffic to their site.To know Why, please read this article completely. The second name in the list is Twitter. Tiwtter has more than 250 billions monthly active users. If you are looking for more professional and prospective clients then twitter is the best option over facebook. We know you are wondering, how you can promote your business using 140 characters? But do you know, this is the real USP of the twitter? Unlike facebook, twitter only allows 140 charcters in its tweet. The users are forced to think twice before conveying any message on the twitter. Hence, if you are looking for overcrowed low quality auidence then Facebook will be the best choice. But if you are looking for large number of professional and prospective users than Twitter will be the best choice. Today, you will even find the beggar on facebook but did you ever find any beggar on the twitter? The answer will No and this statemet in itself sufficient to decide which site is better for your business. But in no case, we can neglect the importance of these two social media site. Facebook will bring traffic instantly to your blog or website where as in twitter will bring slowly and gradually quality traffic to your blog or website. Note: In order to give a though fight to Facebook, Google has now started including twitter tweets in its search result. Hence, if you are using twitter for promoting your business then it will give boost to your SEO also. Check out the below image to know how google is showing your tweets in its search result. The next name in the list is Pinterest. Pinterest is an social media network used to discover information over internet mainly usings Images and GIFs. In a simple language, It is just like a notice board, where you will pin your information using visual tags like Images. If you are running any creative or artistic business then Pinterest will be the best choice for you. This social media work best where you need to use lots of images to promote your business. For example, On EmbroideryShristi, Pinterest is one of the top contirubutor for sending traffic to their site. Do you know? In year 2015, Pinterest was contributing around 25% of the monthly traffic of EmbroideryShristi. But these traffic was without a pinterest account. Yes, you heard it correctly. EmbroideryShristi was receiving 25% of their traffic without a pinterest account. Actually, their online users where doing ‘Pin it‘ for their designs. It was in year 2016, when they created an account on Pinterest site. Just imagine, if EmbroideryShristi is receiving traffic without creating an account then what would happened when they created an account on pinterest and start promoting their site. In a simple words, if your are running an creative or artistic related business, then you must give a try to pintrest. Trust me, it works where lots of images are involved. The next name in the list is Instagram. If you are looking for large number of followers than Instagram is a good option. But, this will not drive any traffic to your site. This is because, Instagram does not allow you to share your URL address while sharing any photos on it. Though, Instagram does not allowed clickable link within the post, it is still advisable to promote your business on the Instagram. Instagram is a new trend of youngsters. This one is our favourite. The next name in the list is Reditt. If you are looking for a good quality traffic to your site or blog then Reditt is the best option. But, remember, on reditt, it is not that easy to promote your business. Reditt has a very strong policies for posting and sharing content on their site. Trust me, it is very difficult to bypass their policy and promote your content. For reditt users, it doesn’t matter, whether you are using your website or blog address while sharing the content. You will get banned even for sharing the promotion content without pointing back to your blog or site. The last name in the list is Linkedin. This social networking site is best for professional businesses. If you are targeting any professional users then Linkedin will be the best choice for you. Linkedin is a social networking site to build and engage with your professional network. If you want to stay in touch with your professional friends then this site is must for you. Do you know? There are total 590 million active uers across 200 countries on Linkedin. We know, many of you are wondering, Why I have not considered Google Plus in my list? This is because,due to recent scam of data leakage, Google has offically confirmed the shut down date of Google Plus site on 1st April 2019. Hence, we have not included the same in our list. Yes, it is practically not possible to promote your business on almost all social media sites. Hence, we suggest, you initally start with one or two site and then slowly and gradually move on to remaining sites. Next, you can also use the online autoposting site, to automate social media activities. Check out below article to know how to post automatically on various social media networks without using any plugins on your site or blog. How to automatically post on various Social Media Networks? Above all, are the list of top six social media sites, where you can promote your business efficently. We strongly suggest to create an account and promote your content here. Trust me, these sites will really boost traffic on your site or blog. Besides above list, few other well know social media networking sites are snapchat, Stumbleupon, Tumblr etc.